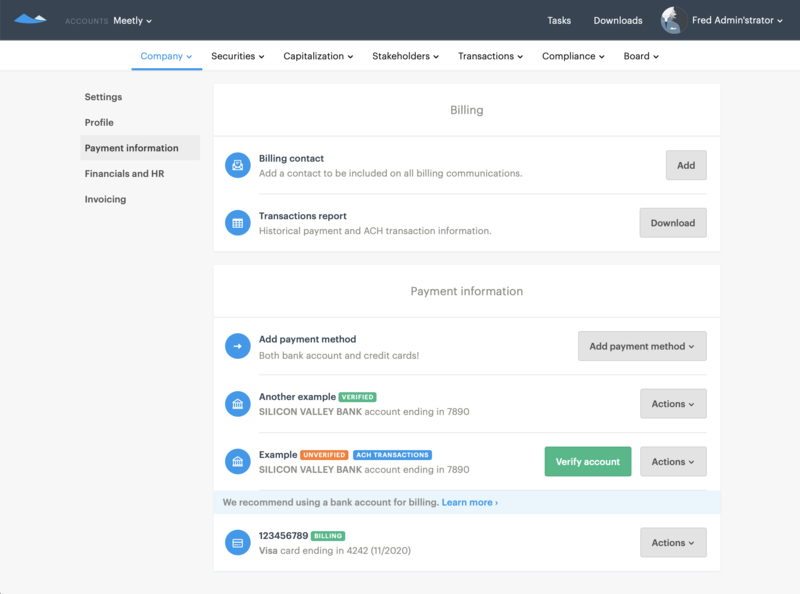 Before turning on online transactions, you must set up your bank account on Carta. 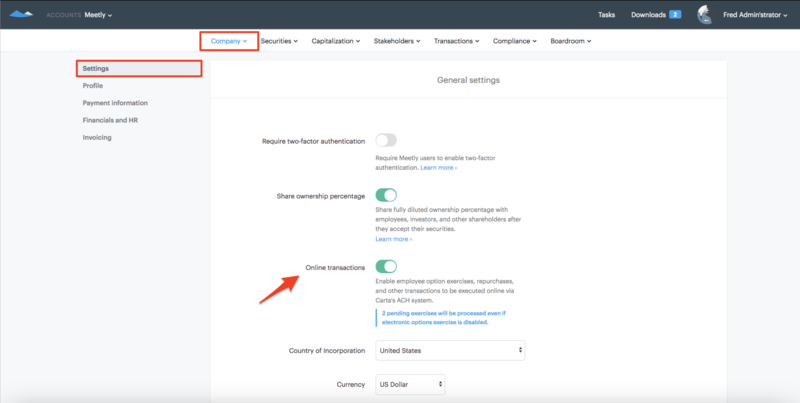 ACH only works for bank accounts based in the United States (and may not work for brokerage accounts). Note: You will need Legal Administrator or Company Editor permissions in order to continue with this process. 2. Click "add payment method" in the lower right to add payment methods. 3. 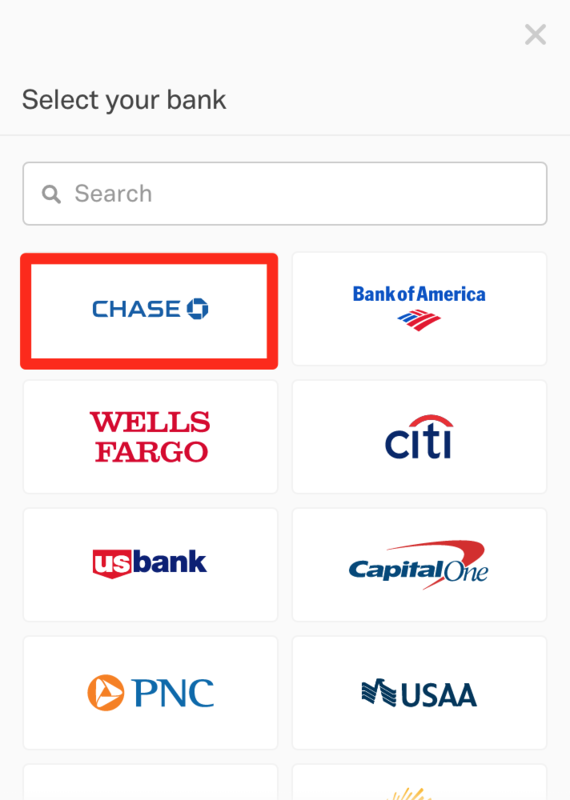 Click on 'Connect account instantly ' to link your bank account information instantly. 4. Choose your bank from the drop down list. 5. 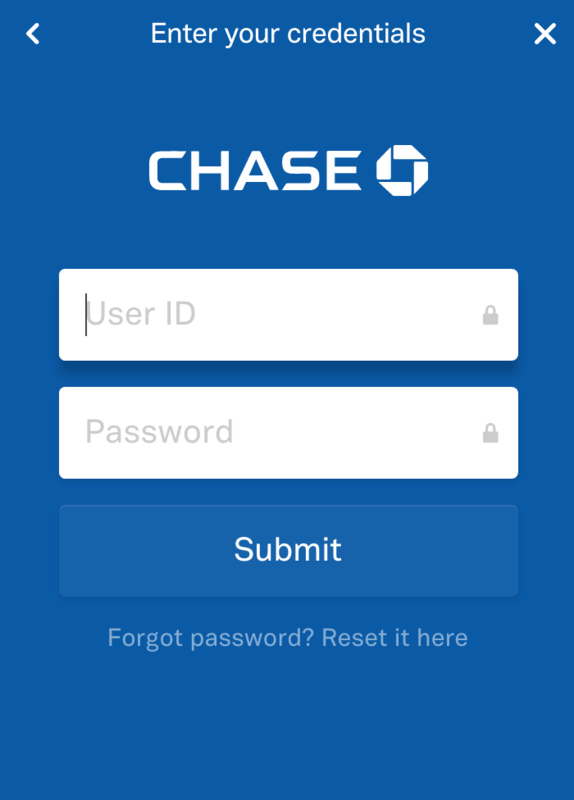 Enter your bank account credentials. 6. If you cannot enter your bank credentials instantly, press 'Add account manually' from the accounts page. 7. In the popup window, input bank account details. 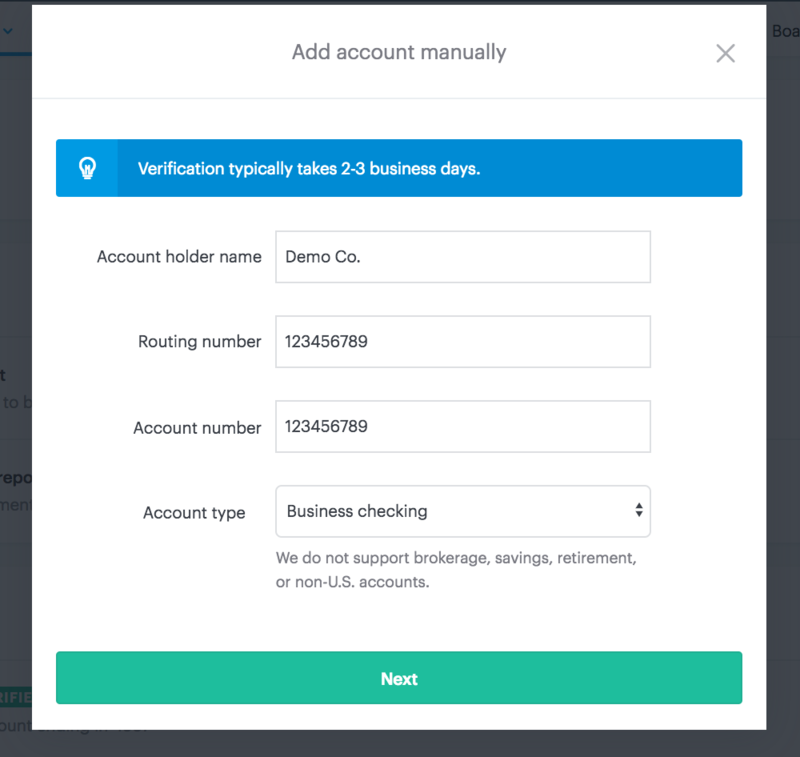 Two small test deposits will be made into your bank account in 1-3 business days. These test deposits will come from either "ACH Credit ESHARES INC - DUES" or "ESHARES INC PAYROLL PPD". Note: Many brokerage accounts do not allow ACH deposits - if you are not receiving the verification deposits, please confirm with your bank that it allows ACH deposits to be made into your account. 8. 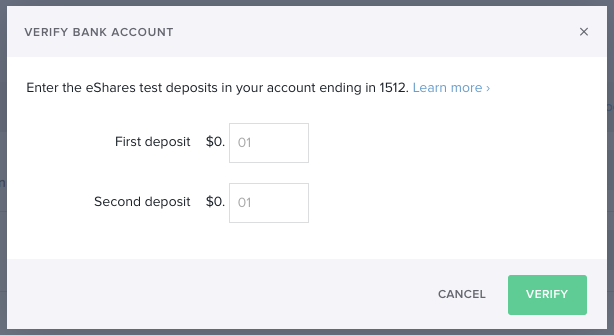 Once you return to the 'Payment' page, click on 'Actions,' then 'Verify account' to enter the two unique deposit amounts. 9. After verifying the amounts, you will be able to set it as your ACH transactions account.